Another day, another property on Vestal Avenue. 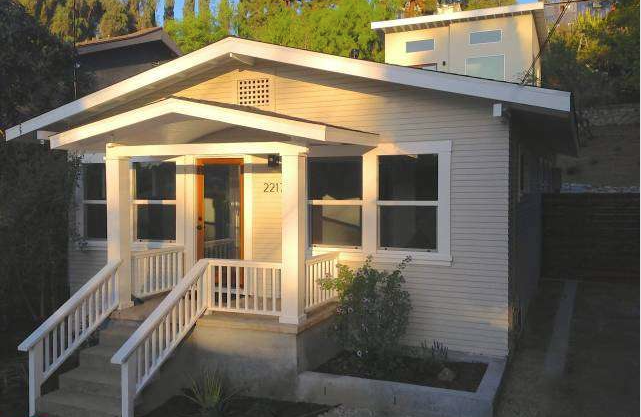 The sun rises on this adorable two bed, two bath Elysian Heights Craftsman, complete with a separate studio. 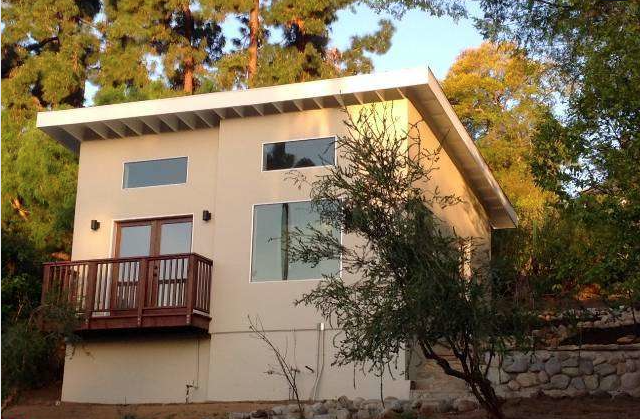 If you’ve read this blog long enough, you’d have noticed a fondness for smaller homes by now. Mark this down as another one. 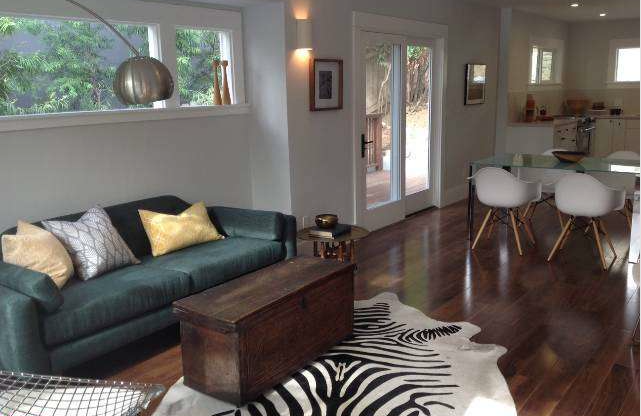 I’ve debated creating a drinking game where you do a shot every time a stager uses one of these faux animal rugs. I kid, I kid. 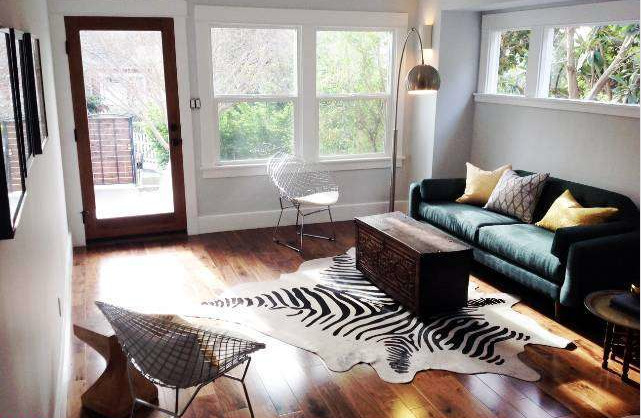 Regardless, I really do like the look of this home — from the wood floors, to the glass door that really helps let in a lot of extra light to this living space. While $799,000 may sound like a lot of green, it may actually turn you green with a tankless water heater, LED lighting, energy-efficient windows, and a whole house water filtration system, ultimately adding a little extra green to your wallet. Other updates to this cozy cottage include plumbing, electrical, central heat, and A/C. The kitchen/dining area also features a large deck to the side of it and includes custom cabinets (A LOT of cabinets), quartz countertops, and high end appliances. 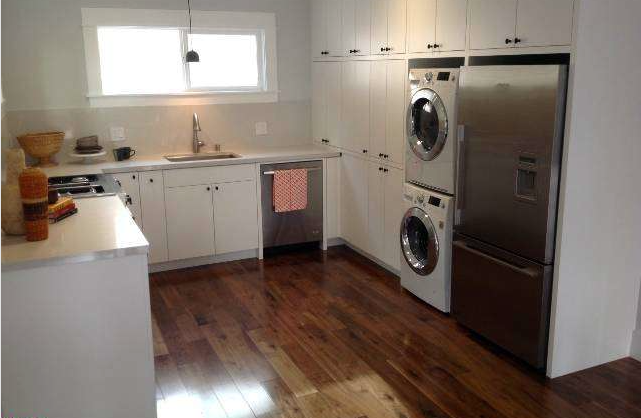 Is anyone else digging the washer/dryer unit next to the fridge? It’s giving off a very European vibe. Gravlax anyone? 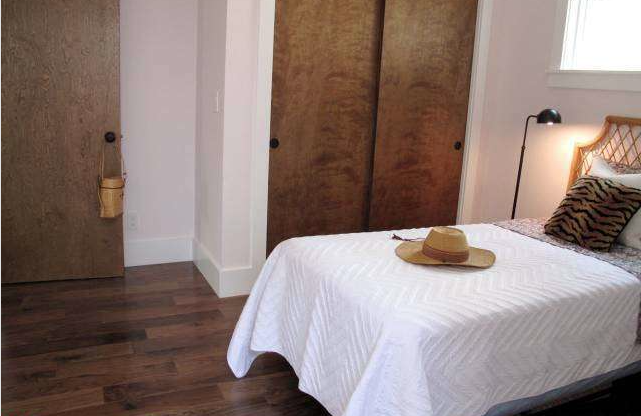 Built in 1912, both bedrooms are moderate in size, adhering to the original trends of the time. The main house has two bathrooms, while the studio gets a half. 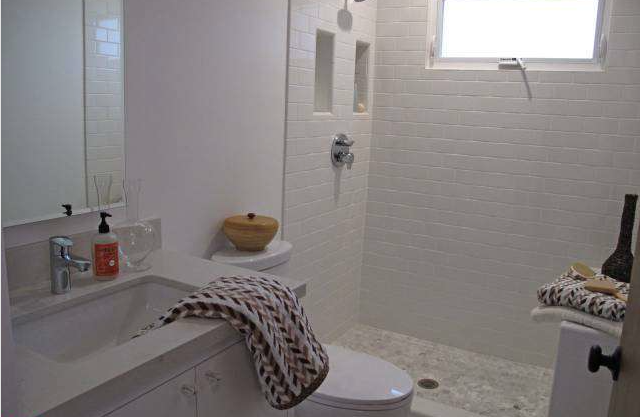 Those in the home share a common, modern aesthetic with bright tiles and clean lines, this one having a large shower, while the other gets a tub. The studio’s unique design is tastefully simple, and looks complete enough to be a stand-alone home. The studio space is large, airy, and bright — perfect whether you are looking for a little solace or to entertain friends. 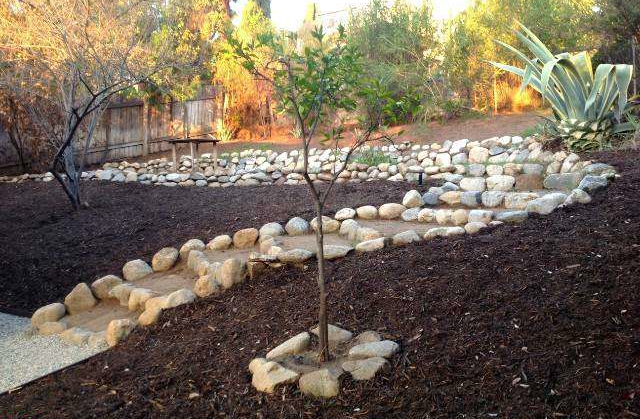 The grounds are also complete with “xeriscaping.” Simply put, it means “landscaping and gardening that reduces or eliminates the need for supplemental water from irrigation.” Two points if you already knew that.